What: Classic Mac and Cheese amped up by an infusion of finely blended fresh greens (think Spinach and Arugula). More nutrients for your little one means more peace of mind for you. They’ll always ask for Mac and Cheese – this will make you feel happy giving them what they want. When: Whenever you have leftover salad or leafy greens – odd amounts work great. Less waste for your household too. Why: I once confidently declared that I was against “hiding vegetables” in popular kids dishes. This is because my hope was and still is that my child will, one day, just love vegetables for their own sake. Thanks to the many moods of my toddler, I know now that my noble pursuits may have to wait. That said, the saving grace of this dish is although kids will love it because it is Mac and Cheese, the veggies are hardly hiding and their flavor DOES come though. The whole dish is green to boot! Whatever your position, this is a meal you can feel good about. How: All you’ll need is a food processor, immersion blender, or even your most masterful hand-mincing job. 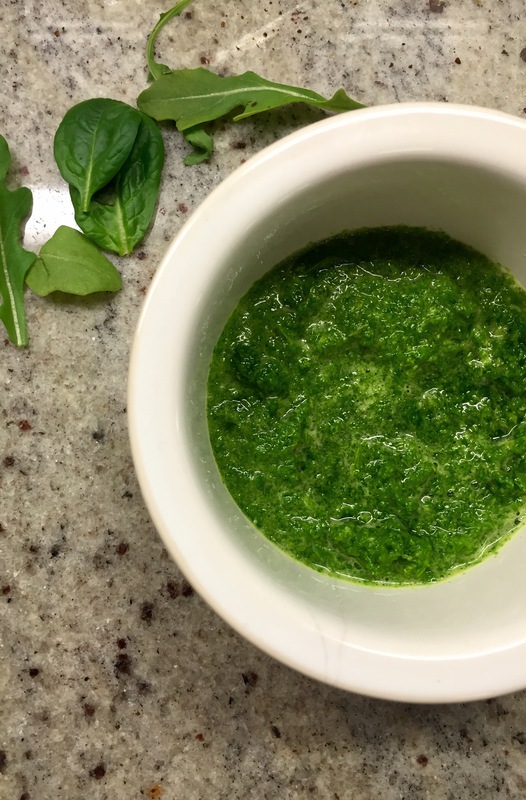 Once you’ve created the Greens puree, add it to your kid’s favorite homemade Mac And Cheese or even the organic boxed kind (we all need a break once in a while). And just like that, your kid’s favorite meal is a bit more virtuous. Add Greens and Water to your food processor and process until very finely minced. If more water is needed add it. Stir into warm Mac and Cheese.